Find Your Spirit Animal… Or Else! Writer C.R. Grey has created a new fantasy series for young readers that’s described as “Drawing on the traditions of Harry Potter and His Dark Materials… a fantastical boarding-school adventure with steampunk sensibilities and political intrigue…” The first book in the Animas series, Legacy of the Claw, goes like this: In a world where everyone eventually hooks up with a non-human animal, known as a “kin”, in a spiritual connection known as an “animus bond”, 12-year old Bailey Walker fears that he will become an outcast if he doesn’t find his own kin soon. But darker forces are at work in his world… forces that seek to enslave all the kin and destroy the power of animus forever. 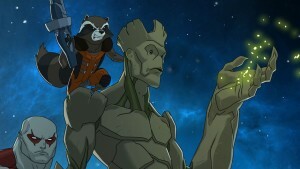 This new series is available now from Disney-Hyperion. Check it out over and Barnes & Noble. This February comic book legend Stan Sakai and Dark Horse Press present a special Usagi Yojimbo one-shot for people looking to get a fresh start on this famous series. And the price is right: 1 issue for $1.00. “Miyamoto Usagi’s most popular adventure kicks off in this value-priced issue! 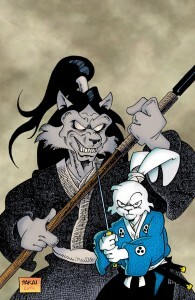 A sweeping tale assembling nearly the series’ entire cast, Grasscutter finds the rabbit ronin drawn into a violent struggle over the legendary sword of the gods—the Grass Cutting Sword—as the fate of the nation hangs in the balance!” In black & white of course. Check it out at Dark Horse. In an interesting article over at Cartoon Brew, writer Scott Thill discusses a notable animated cartoon short — which is celebrating its 75th anniversary. The amazing thing is that it was made at all. Peace on Earth was created at MGM Animation (the home of Tom & Jerry) and directed by Hugh Harman. 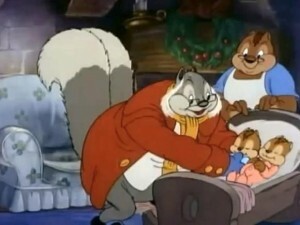 Despite the objections of MGM executive Fred Quimby, the film was finished: And for a cartoon finished right before the outbreak of World War II, it’s quite surprising. An elderly squirrel (voiced by an un-credited Mel Blanc) tells his young grand-kids the story of the end of human-kind in a terrible war… and how the animals, directed by the bible, re-built the world and declared an end to conflicts and fighting of all kinds. An end which they celebrate and renew every year at Christmas. Seriously, go check it out at the bottom of the article. This film is very hard to find — but likely, it should be seen a lot more. In 2012 John Claude Bemis (author of the Americana-Fantasy series The Clockwork Dark) brought us a new post-apocalypse novel for young readers called The Prince Who Fell From The Sky. “In Casseomae’s world, the wolves rule the Forest, and the Forest is everywhere. The animals tell stories of the Skinless Ones, whose cities and roads once covered the earth, but the Skinless disappeared long ago. 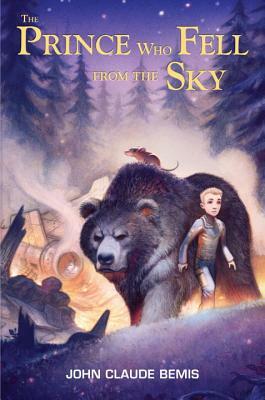 Casseomae is content to live alone, apart from the other bears in her tribe, until one of the ancients’ sky vehicles crashes to the ground, and from it emerges a Skinless One, a child. Rather than turn him over to the wolves, Casseomae chooses to protect this human cub, to find someplace safe for him to live. But where among the animals will a human child be safe? And is Casseomae threatening the safety of the Forest and all its tribes by protecting him?” Published by Random House, check this out over at the author’s web site. Here’s another one of those “how did we miss this?” young-adult fantasy book series. Tui T. Sutherland is part of the author collective that, under the name Erin Hunter, created the Seekers and Warriors series of cat-based fantasies. In 2012 though, she returned to her own name to bring us the Wings of Fire series, beginning with The Dragonet Prophecy (published by Scholastic, Inc.) “The seven dragon tribes have been at war for generations, locked in an endless battle over an ancient, lost treasure. A secret movement called the Talons of Peace is determined to bring an end to the fighting, with the help of a prophecy — a foretelling that calls for great sacrifice. 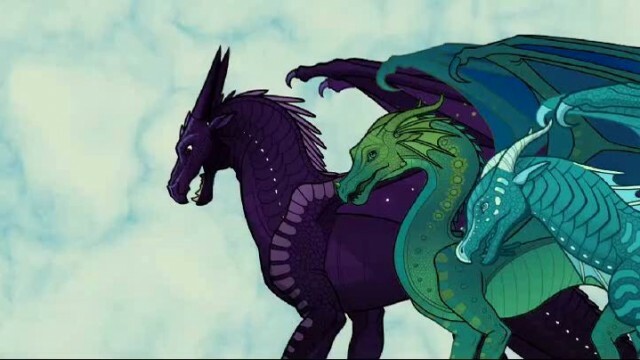 Five dragonets are collected to fulfill the prophecy, raised in a hidden cave and enlisted, against their will, to end the terrible war.” As you can well imagine, things don’t turn out as planned when the five young dragons escape. Their adventures have thus far lead us through six books in the series, and at least two more books are being written even now. Check out the first book over at Barnes & Noble. image c. 2014 Scholastic, Inc. Recently a new young-readers’ book series premiered, courtesy of Jennifer Lynn Alvarez. 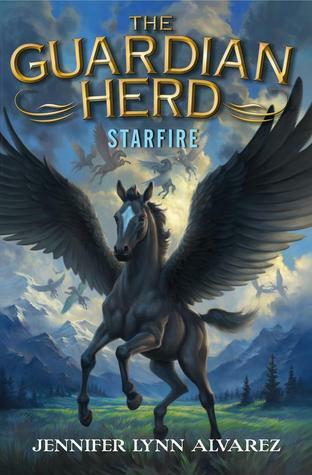 Starfire is the first book in her new series The Guardian Herd, featuring a society of talking pegasi. “Once every hundred years, a black foal is born, prophesied to either unite or destroy the five herds of flying horses that live in Anok—fated to become the most powerful pegasus in all of the land. Star is this black foal. Even though Star has malformed wings that make him unable to fly, the leaders of each herd will take no risks and want to execute Star before his first birthday. 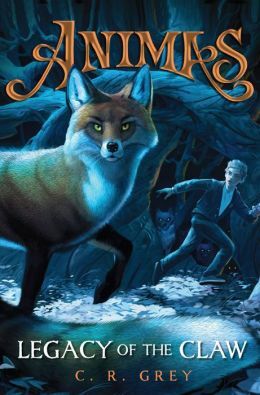 With the help of his friends, Star must escape the clutches of the powerful leaders, and his epic journey of self-discovery turns into a battle between good and evil that will keep readers eagerly turning the pages.” They’ll have more pages to turn this coming April when Stormbound (the second book in the series) hits the shelves. Check out the official page from Harper Collins Publishers to find out more. Yet another creative discovery from the CTN Animation Expo: Meg Park, designer and illustrator. Or as she puts it on her personal web site, character designer and visual development artist. 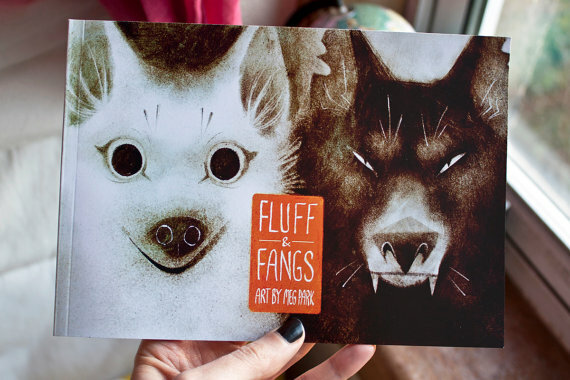 Besides examples of her work you’ll find a link to her Etsy Store where you can purchase various prints — many of them toony and anthropomorphic — as well as her art collection book, Fluff & Fangs. As you may have heard floating through the air in Hollywood lately, Dreamworks Animation has been worrying a lot of people lately(notably investors) with a lack of hit movies. Several of the studio’s offerings over the last two years have not performed as hoped or expected at the box office — and now, Penguins of Madagascar is not exactly on track to set any new records either. Even How to Train Your Dragon 2, which was a blockbuster earlier this year by most standards, was not as much of one as many had expected. 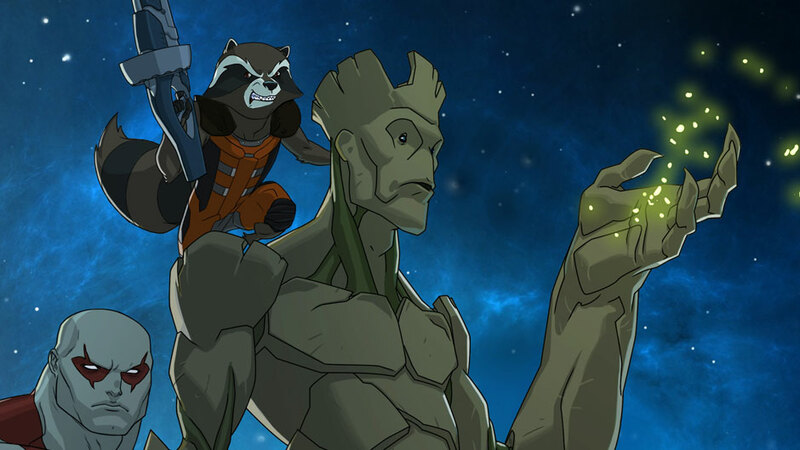 All of this seems to have made Dreamworks rather skittish about their upcoming slate of films — especially when it comes to the competition. 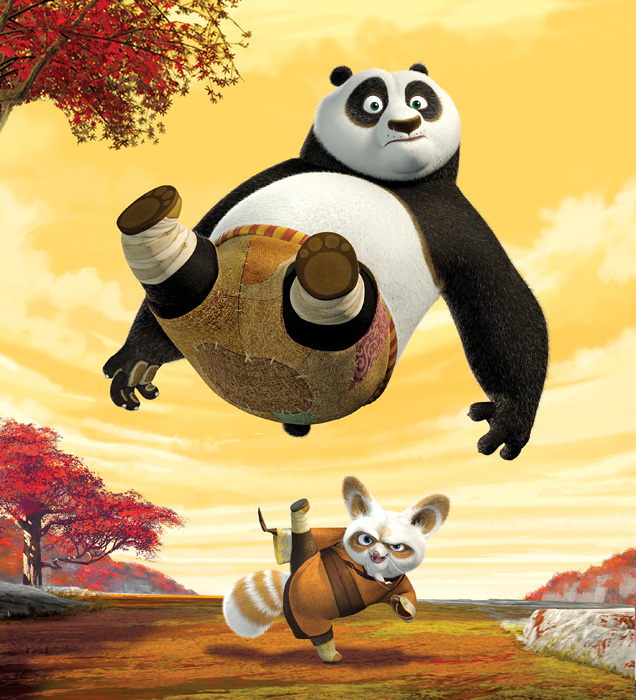 To that end the studio recently announced that Kung Fu Panda 3, originally slated for release in December of 2015, has been pushed back four months to March of 2016 — presumably to keep out of the way of Star Wars VII, or at least that’s the buzz around town. Interestingly, that move puts the new date for Kung Fu Panda 3 just two weeks after Disney is scheduled to release Zootopia. It seems like 2016 just got a little more interesting — and 2015, perhaps less so.